* Custom hand wound heavy gauge DELTA stator with high temp insulation. * Highest quality bearings with high temp. grease. * Heavy duty self exciting internal voltage regulator for one wire hook up. * Heavy duty rectifier plate with high amp diodes for cooler operation. 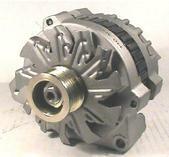 * Single V-belt 2.3" overdrive pulley. 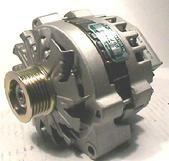 * Custom hand wound heavy gauge DELTA stator with high temp. insulation. * Oversized bearings with high temp. grease. * Heavy duty internal voltage regulator with oversized MOSFET. * Heavy duty field proven rectifier plate with high amp diodes. * Custom machined Overdrive 1.7" 6 groove pulley. * Oversized heavy duty bearings with high temp. grease. * Heavy duty rectifier plate with welded press fit high amp diodes. * Custom machined Overdrive 1.9" 6 groove pulley. 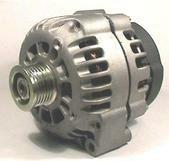 * Custom hand wound heavy gauge stator with high temp. insulation.